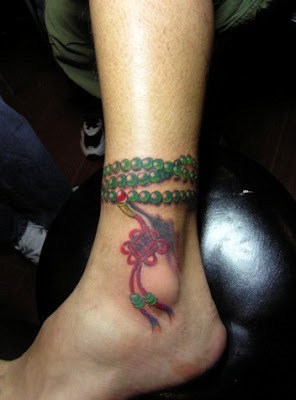 A very cool tattoo -let you have a anklet staying with you forever plus a pretty Chinese Knots which will bring you good luck. A very cute tattoo for girls. 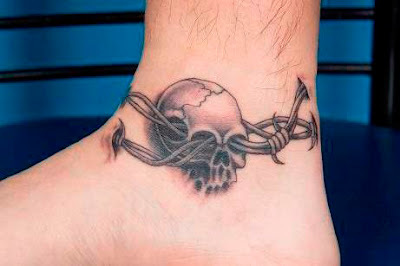 This tattoo is a skull anklet, while this anklet seems to grow out of the body. Tattoo artists like to use this kind of ideas. 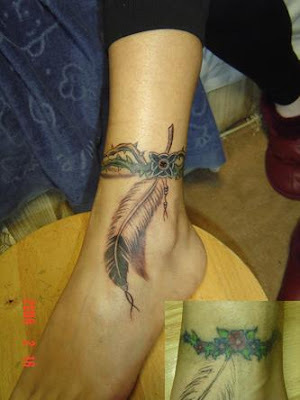 This is an ankle tattoo. The picture at the right bottom is the original tattoo design. The tattoo artist modified it to a much elegant one. 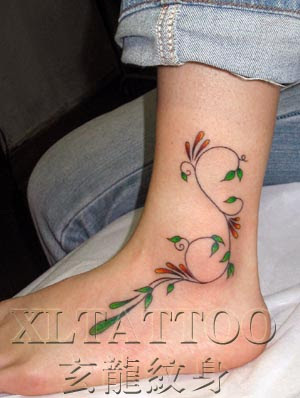 A cute anklet tattoo design with a little pig at the end. 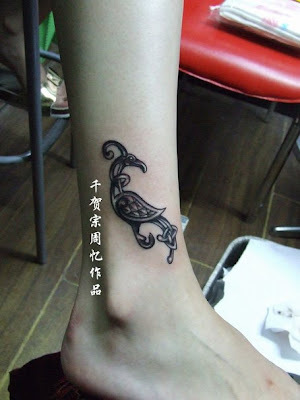 This tattoo design is a typical tattoo design for girls - looks cute but no idea what is the meaning. 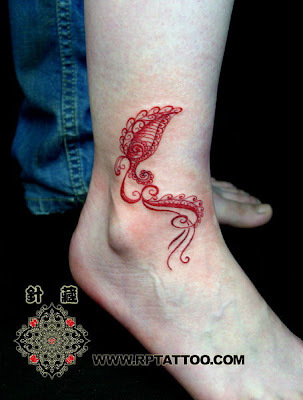 This ankle tattoo is like a Chinese knotting ,which is is a decorative handicraft arts. Archaeological studies indicate that the art of tying knots dates back to prehistoric times.